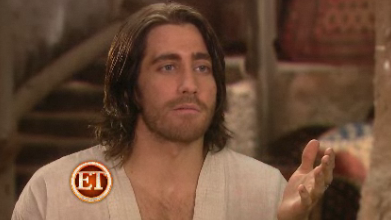 ET Online have posted a video inter­view with Jake Gyl­len­haal, show­ing quick snip­pets of action, Jake hav­ing some fun and Jerry Bruck­heimer. 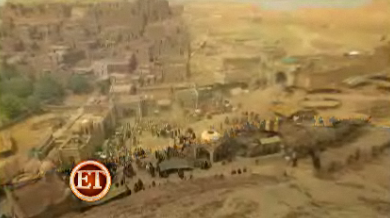 It’s pretty laid back, and, as media movie scoops tend to go, this one is pretty good. 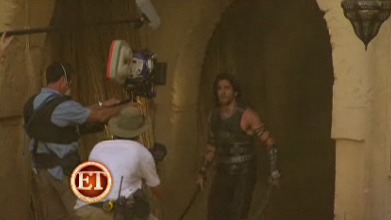 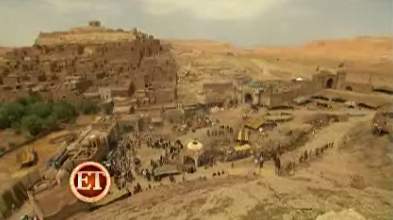 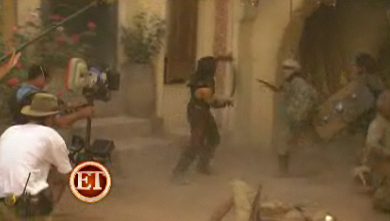 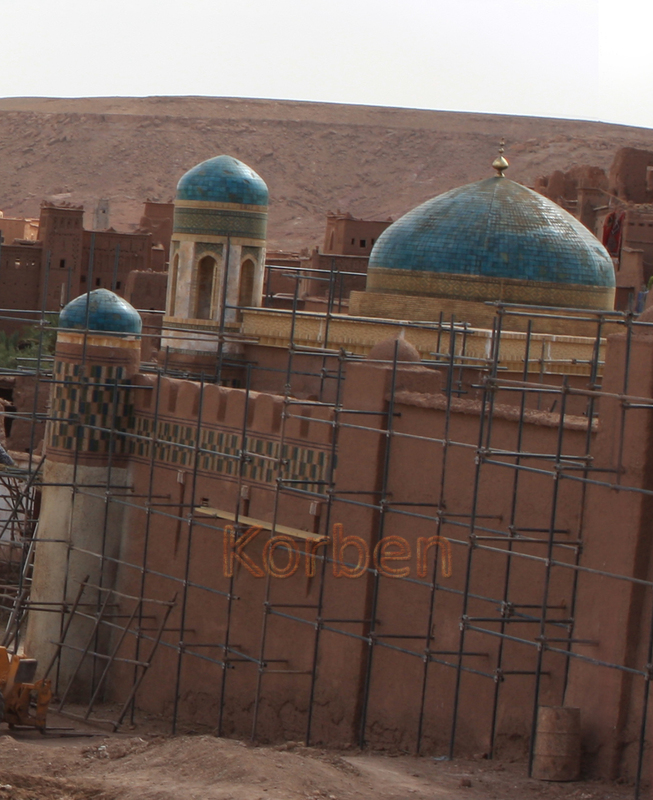 Note the quick pan­ning shots of Morocco, the two sworded action scenes. 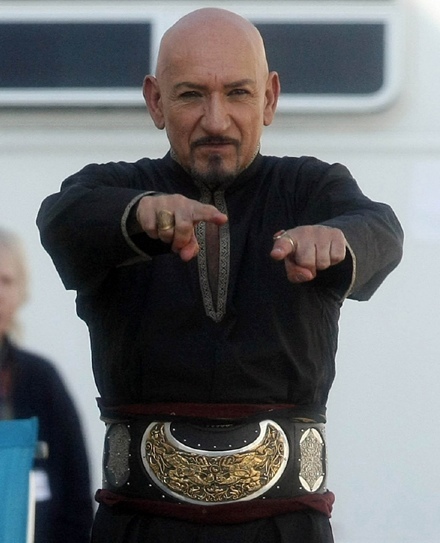 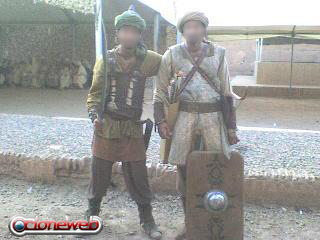 Defamer have revealed the first image of Ben Kings­ley in full cos­tume as Nizam! 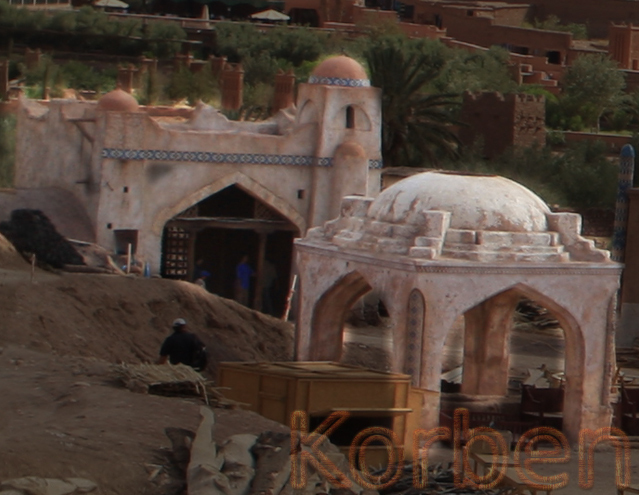 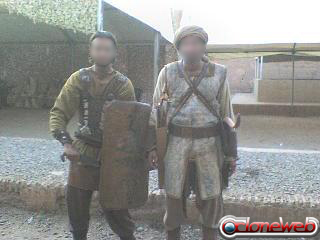 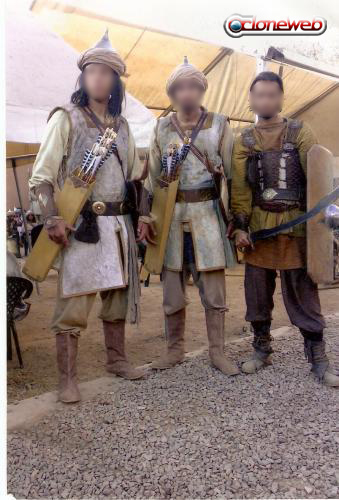 The French site Cloneweb has posted shots of extras form the Prince of Per­sia movie adap­ta­tion in full cos­tume, some­where near Mar­rakech in Morroco. 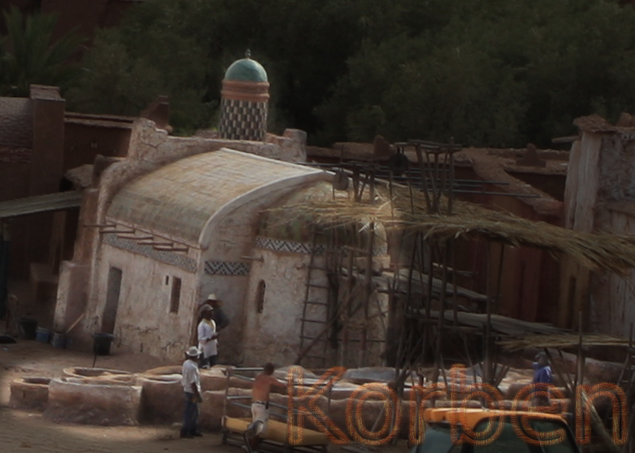 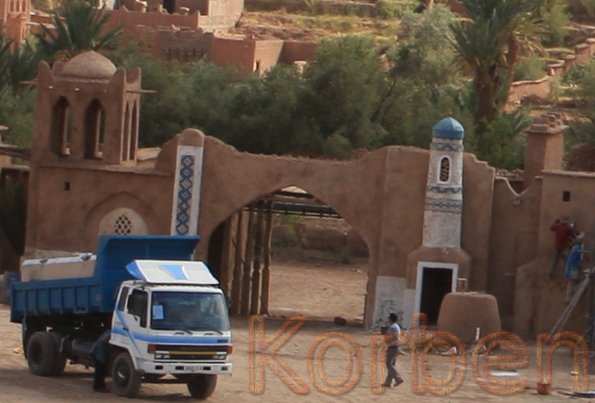 Our first glimpses at the con­struc­tion of the Prince of Per­sia movie set have come to us via Kor­ben & Rocho. 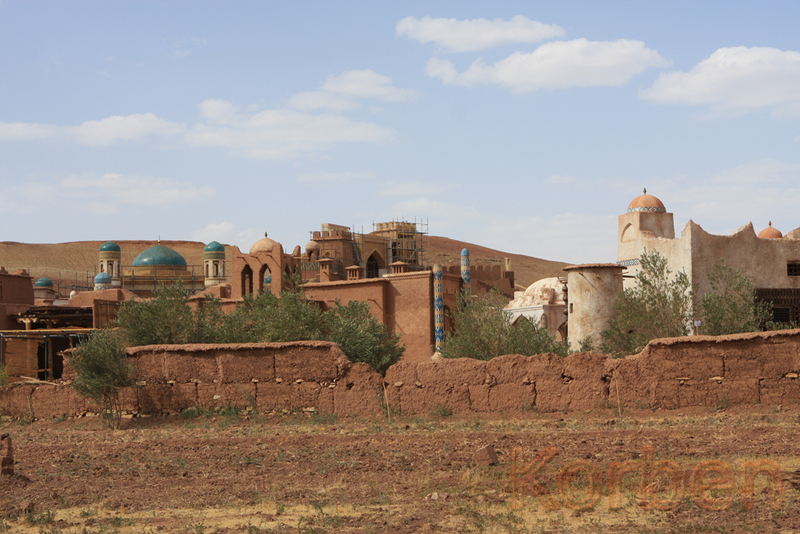 These pic­tures were taken at Ait Ben Had­dou in Morocco; it looks like they are cre­at­ing a full town with streets et al. 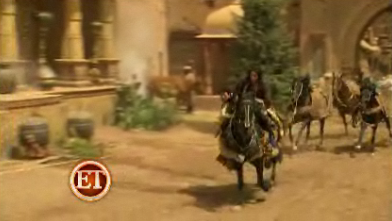 It is also inter­est­ing to com­pare them to the con­cept art that was released in April 2007. 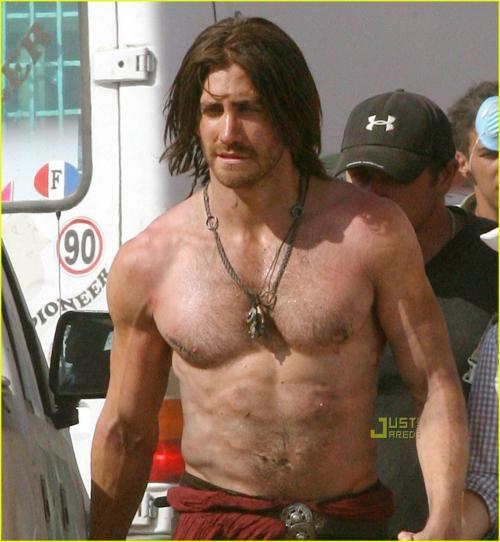 These first glance images come via Just Jared, show­ing a shirt­less Jake Gyl­len­haal look­ing all hunky and manly as The Prince.